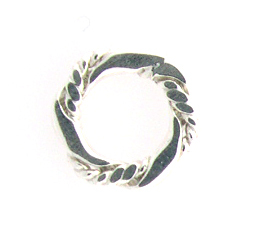 These are sterling silver links, with no holes. Attach a ring, and hang from a chain .. use as a spacer ring.. even use as a jump ring.. I'm sure there's a lot of other uses too!